HDPE Laminated Panels are a structural panel specially designed with a unique combination of strength and durability. It is overlaid on either one or two sides with smooth or textured high-density polyethylene. It is the ideal panel for many applications. 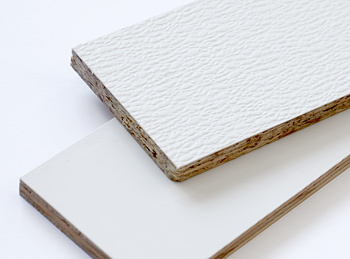 HDPE Laminated Panels are made from a high density lightweight thermo-plastic overlay, permanently bonded to OSB (Pebbled) or Plywood (smooth) with an exterior glue. 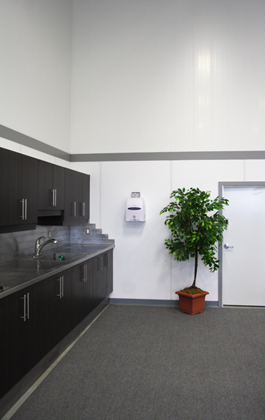 Our structural substrates are designed and manufactured in strict compliance with U.S. and Canadian Product Standards. HDPE Poly overlay acts as a protective wear surface against abrasion and reduces shear forces transmitted into the substrate. Poly overlay will not chip, crack or break. HDPE Poly overlay is resistant to attack by most common solvents, oils and alkalies. The bright white colour is pigmented into the entire thickness of the overlay. Because of the non-stick characteristics of polyethylene, the surface is stain resistant and easy to clean. An ultra violet stabilizer is available for exterior use. Poly overlay is a 100% moisture barrier. Easy DIY. Common tools needed.